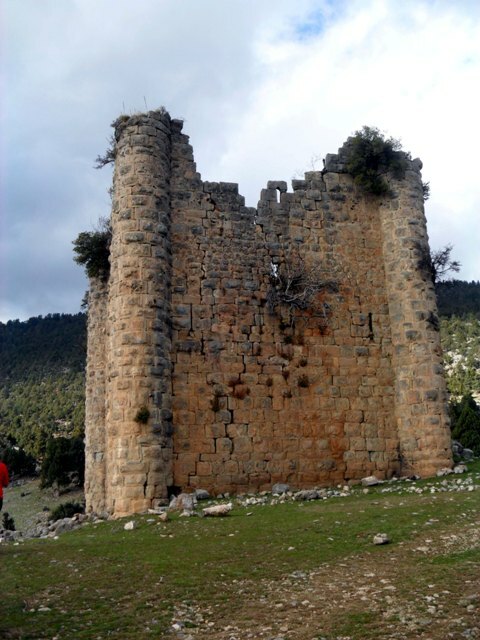 Condition: Outer walls still standing..
Notes:This article is about a castle in Mersin Province. For castle in Sinop, see Sinop Castle.Sinap Castle is a medieval castle in �amliyayla district of Mersin Province in southern Turkey.Sinap Castle is a medieval castle in �amliyayla district of Mersin Province in southern Turkey.The castle which was probably built in the 10th century, had been used by various medieval states. The Armenian Kingdom of Cilicia used the castle to secure caravan routes and its main function was to defend the road against bandits rather than to fight against an army. It is a small castle and it was actully a dependency of the more important Namrun Castle, which is stuated 2.5 kilometres (1.6 mi) bird's flight to the west. The name of the castle Sinap means "corner" in old Turkish and probably the castle was situated at the intersection of two ancient roads.The castle, along with its neighbouring Lampron Castle has been featured in the 2013 film "Fear Through Eternity".